Driving thru the back roads south of Frederick Marylnad I noticed some old early 60ies tail lights and window chrome. Inside an old barn foundation was 6 early Corvairs; 4 hardtops & 2 convertables. From the looks of the barn the cars were stored inside of it and then the barn fell down and this is all that is left. No clue who ones them! Dec. 26, 2008, 9:54 p.m.
Tell me where these are please!!! I WILL hunt down the owner. 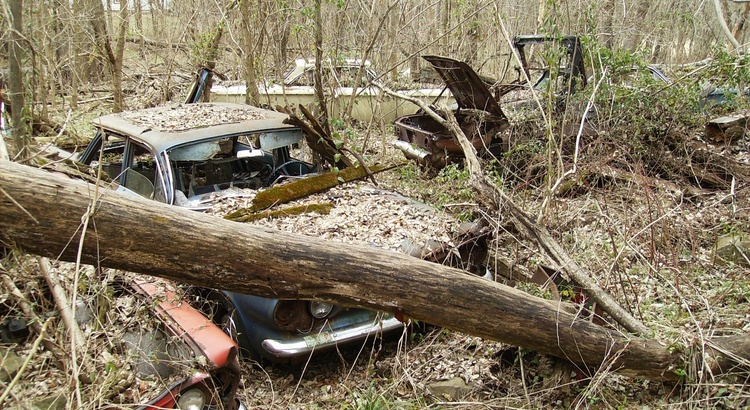 I am a year or so into a 67 coupe restoration project, and if possible I would save these, at least for the parts. Good Eye! !